Wicken is a 5MW Battery Storage Plant importing electricity at times when demand on the network is at its lowest, storing the energy, which is then exported to support the local electricity network when demand is at it’s highest. Batteries also have the ability to perform frequency control and iron out any fluctuations on the electrical network. It is capable of achieving full output when receiving a remotely operated despatch to start signal. 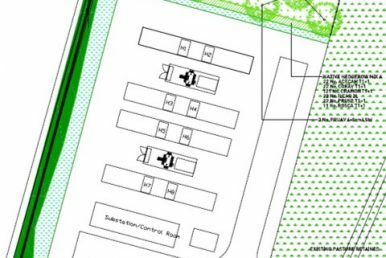 The self-developed site which was taken into planning in the winter of 2018 has an agreed 30 year lease term, and intends to be operational by Q4 2019 to support the national grid networks requirements. The project will operate under a trading model, buying and selling electricity into the grid, and looks to maximise its income via Capacity Market agreements and other similar type subsidy arrangements.